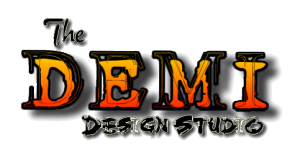 The DEMI Design Studio™ is a website development team who builds, designs and maintains websites for churches, humanitarian and non-profit organizations that are 501(c)3 designated. All sites are built using the latest version of the WordPress! Content Management System. WordPress is “Web 5.1.1″ software that allows you to customize every aspect of your site directly from your web browser. Our goal is to design and construct your website so you never need expensive software like Adobe’s Dreamweaver or even a paid web designer on staff. With WordPress themes we can build you a great site with the power of the Dashboard. Want a new page added? Sign-in and create it. Need to update your contact information? Edit your contact page in the Dashboard with a very helpful WYSIWYG (What You See Is What You Get) editor. Don’t be afraid to do this by yourself; if you can type on a computer we can teach you how to use your site. We’ll always be here to answer questions… but the goal is to get your company web-independent by developing a site that you understand and maintain directly from your web browser. So whether we’re maintaining your site or your are; our services are designed with you in mind.